Coupons valid until March 30, 2019. May redeem multiple coupons per person. Coupons can be combined for a longer stay. One child under 7 years old can stay free of charge. Extra beds are not available. Check in at 2 PM, Check out at 12 PM (can be flexible). Pets are not allowed. Excludes Public Holidays (Christmas, New Year's Eve & Valentine's). Reservation required 48 hours prior on 07 995 580, quote Gosawa coupon. 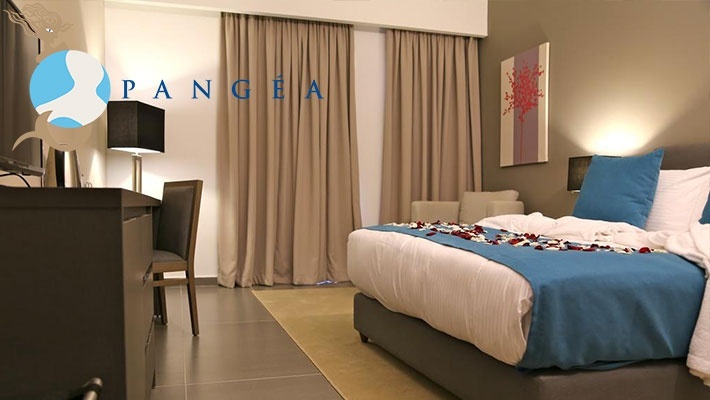 Cancellation policy: reservations must be cancelled 24 hours prior, otherwise coupons are considered as used. Non-Refundable / No carry over. VAT included in price. Standard terms & conditions apply. The serenity of the blue sea is an unbeatable view! 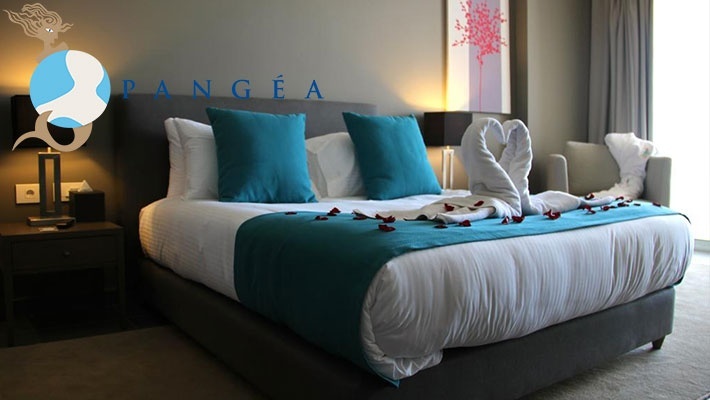 Enjoy opulence, style and ultimate comfort with a One Night Stay in a Standard Room, Duplex or Suite with Jacuzzi Access for Two at Pangea Resort, starting from $60 instead of $100. 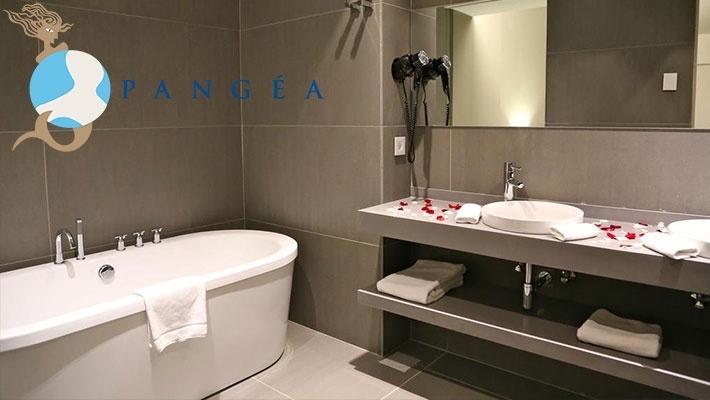 A getaway experience that you definitely need! 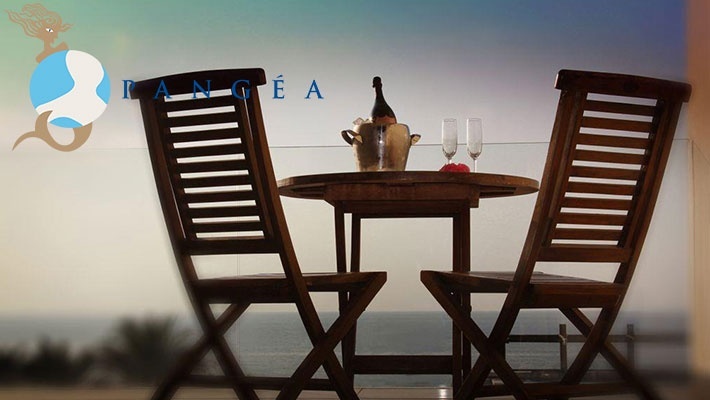 Pangea Resort opened in 2006 with spectacular pools, golden sands and luxurious bungalows. 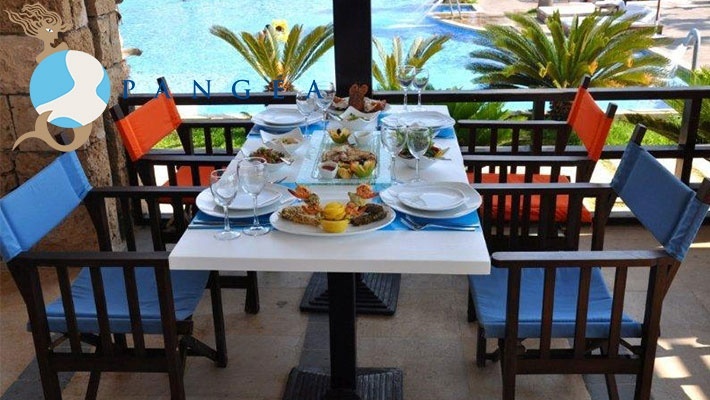 The resort quickly became known and loved by its guests and in 2012, the resort expanded to capitalize on the good reputation it gained since the opening and added to its services. 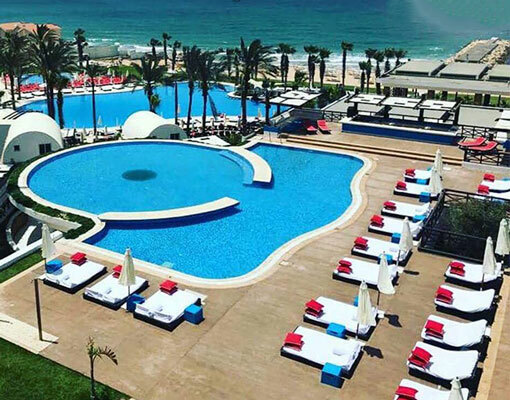 The resort upgraded the standards of their services which now include; 20 bungalows, 63 rooms and suites, 3 restaurants (Lebanese and International, Steak House and Japanese), kids club, fitness center, spa, banquet hall that can sit up to 300 people designed to meet your wedding and meeting requirements, in addition to 3 pools, pool bar, beach deck, beach bar, 24 hour room service and more! 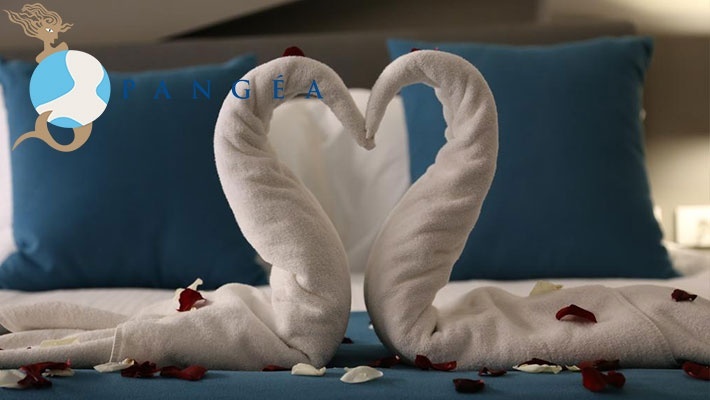 With its distinctive architecture and scenery, the resort is the perfect venue not only for hotel and bungalow getaways but also for all types of occasions from private parties, to dinners and corporate events.